Arimedex is commonly introduced into a steroid cycle to fight estrogen related side effects. Arimidex was originally created to treat breast cancer in women as well as to help women deal with symptoms of menopause. 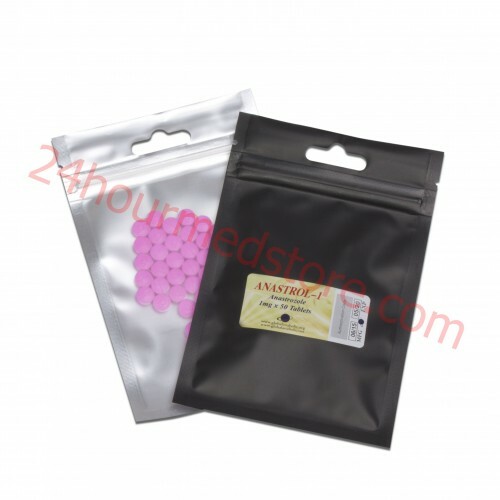 Anastrozole works by lowering estrogen hormone levels throughout the body and it can be taken orally as well as injected depending on your preference. By utilizing this medication alongside any steroids which can cause estrogen related side effects it's possible that you can enjoy steroid cycles without any of the negative side effects. Arimidex can also be used in conjunction with PCT to normalize body chemistry and to ensure that you don't achieve any kind of water retention after your cycle is completed. Although this may have been developed as an estrogen control medication many bodybuilders now use it to prevent negative side effects and it's quite often sold in conjunction with other steroids. With Arimedex you need to have consistent dosage and while you can occasionally skip a dose it's important to keep levels in your body so that you can prevent negative estrogen related side effects from occurring. Generally you only need to take one tablet or one small dosage just once per day. Overall this dosage is quite hasslefree and an easy way to manage negative side effects associated with certain steroids. You can take Arimidex for up to five years so it's possible to continue utilizing it in your cycle with very little side effects. As long as you are still continuing to take steroids is usually a very good idea to continue using Arimidex through each one of your cycles especially if you are extremely susceptible to gyno and other estrogen related side effects.